For the Uvari of Southern India, shaving is an act of devotion. Throughout the year, they participate in a series of rituals, known as asanam, that include fasting, sacrifice of a goat or chicken, shaving one’s head, and feeding thirteen poor people. The Uvari believe that these rituals will ultimately pay off in the form of healing, perhaps in sickness for a loved one. Before you assume shaving one’s head as an act of devotion is far outside the religions you’re familiar with, the Uvari are Catholics. In the earliest cave painting from tens of thousands of years ago, most men are depicted with beards, but not all. In fact, archaeologists have found clean-shaven men as well. But were these paintings merely imaginative? Archaeological digs have unearthed sharpened edges of flint, sharks’ teeth, and clam shells that forensic study indicates were used by the earliest humans to shave their beards. Medical and cultural anthropologists have concluded that the reasons for shaving were not necessarily cosmetic or religious: Early Man shaved to keep his face free of vermin and disease. During the early period of Ancient Egypt, men grew out their beards. Noble or royal Egyptian men would even braid their beards and decorate them with gold powder. The few Egyptian luminaries who shaved at all would still keep a moustache. We know this in part from depictions on death masks, mummies, and murals of the period. But shaving eventually grew in popularity as Ancient Egyptian civilization developed. Egyptian culture came to view excess hair as a visual reminder of man’s natural origins. Status meant breaking with appearances and reaching for higher—even heavenly—aspirations. Egyptian men began shaving everything: heads, faces, armpits, legs, and more. Noble Egyptian men kept full-time barbers on staff. Daily shaving was a necessity to maintain appearances. Beards and body hair meant lower social status. The more wealth you possesed, the more often you would visit skilled barbers for the complete treatment. The complete treatment. What does that mean exactly? The Greek historian Herodotus wrote extensively about Egyptian shaving practices, claiming that Egyptian priests and other religious figures were so thorough that they even plucked out their eyebrows and lashes every other day. Of course the most grandiose hair removal rituals were reserved for the Pharaoh and his family. Royal barbers shaved their exclusive clients with special razors studded with jewels and blessed by high priests. When the Pharaoh was buried with his servants and worldly possessions in the Pyramids, you can bet his barber and jewel-encrusted razor went along for the ride into the afterlife. In Ancient Greece, shaving was more relaxed as far as social status. The Greeks saw beards as a sign of manhood and wisdom. During puberty, boys who began growing whiskers were celebrated in religious rituals dedicated to the sun god Apollo. However, Greeks did not embrace hair free of cosmetic improvement. Fashionable Greek men had their beards trimmed, shaped, and oiled all the time. Greek men would even shave their beards entirely in periods of grief and mourning in the wake of a relative’s death. Because the streets didn’t overflow with razors (unlike Ancient Egypt), grief-stricken Greek man scrambled to find a shaving implement. When it took too long to find one, they would just tear out their own beard with their bare hands. The really crazy ones even burned off their beards with fire. The Ancient Greeks exhibited some other weird beard behavior too. Beard cutting was a severe type of punishment, especially for the military. This was known as being “de-bearded.” Spartans would shave off half the beard of any soldier they deemed to be a coward. On death, a man’s face would be shaved before burial, and his relative would hang the beard trimmings on the door of his house. The beard obsession did not last for eternity. Alexander the Great changed Greek culture forever when he took a stand against beard-pulling during hand-to-hand combat in battle. He felt beard pulling was a waste of time, slowing down his army, which was then advancing rapidly across the known world. Thus he insisted all able-bodied men be shaved using a block of iron with one edge sharpened. Shaving in Medieval Europe was limited by resource shortage. Shaving became a status symbol, because it meant one had enough wealth to afford soap to lather the face. At the time, soap was a rare and expensive commodity. Some historians have argued that Roman Catholic monks developed the style of shaving known as tonsure in response to the soap shortage. Tonsure involves shaving the center section of the head while leave the rest of the hair to form a halo around the bald spot. By the Renaissance, high status women got in on the shaving action. Aristocratic women in Western Europe began frequently plucking their temples, upper foreheads, and eyebrows. Meanwhile, King Henry VIII of England revived the popularity of the beard for men, a development that held throughout the sixteenth century. 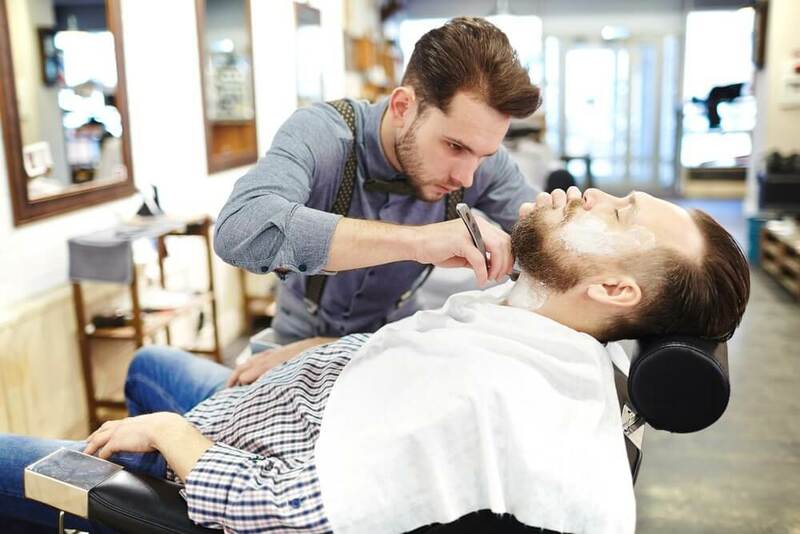 A fashionable shaving ritual pioneered by French monarchs in the seventeenth century eventually led to the development of modern shaving technologies. Louis XIII and his son Louis XIV shaved their own heads and wore wigs. France was the most powerful nation in Europe at the time, and the fashion of shaving one’s head to make space for elaborate wigs soon spread to aristocrats across the continent. The booming demand for frequent head shaving led to the development of the straight razor by French swordsmiths in the 1680s. The straight razor necessitated care, maintenance, and frequent sharpening. Later, the French also developed the modern shaving brush to improve the application of soap lather. In 1762, French barber Jean-Jacques Perret invented the safety razor. It included a novel L-shaped guard along a side of the blade. This dramatically lowered the rate of accidental cuts and nicks on the head and face of the person being shaved. Powdered wigs became even more popular with the lower costs of shaving, making it easier for full head shaves. 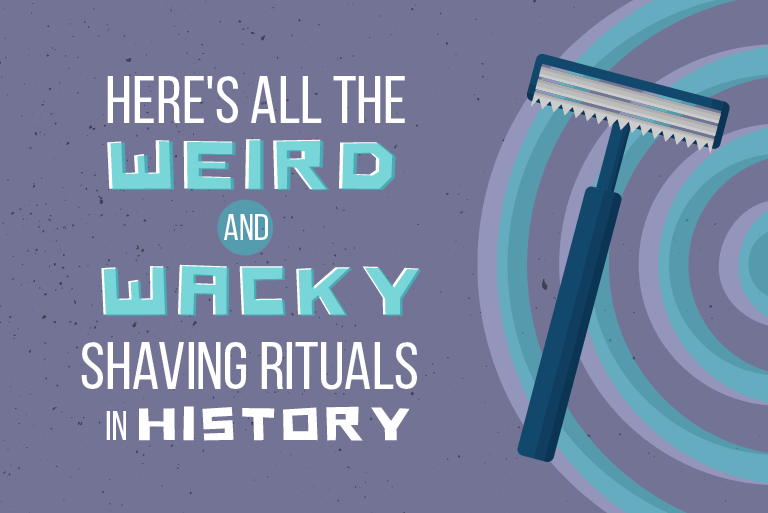 Thanks to all of these weird and wacky shaving rituals, we have the modern shaving tools we use today. While Prince Harry may not be shaving his head before the wedding and our military doesn’t tear out their own hair for a crew cut, shaving is still a practice that has cultural meaning. Whatever your choice–shaving your head, your arms, your legs–make sure to protect your body and use products that protect your skin before and after. Ever wake up one day with dark spots along your cheeks, wondering how they got there? For women, dark spots or hyperpigmentation is a common problem that can hit at any age. Sensitivity to sunlight, inflammation, and most commonly hormones are the culprits of these dark blotches. While you can take steps to prevent hyperpigmentation, once it’s there it takes more than concealer to get rid of it. Here’s some good news about dark spots. You don’t have to live with them forever! 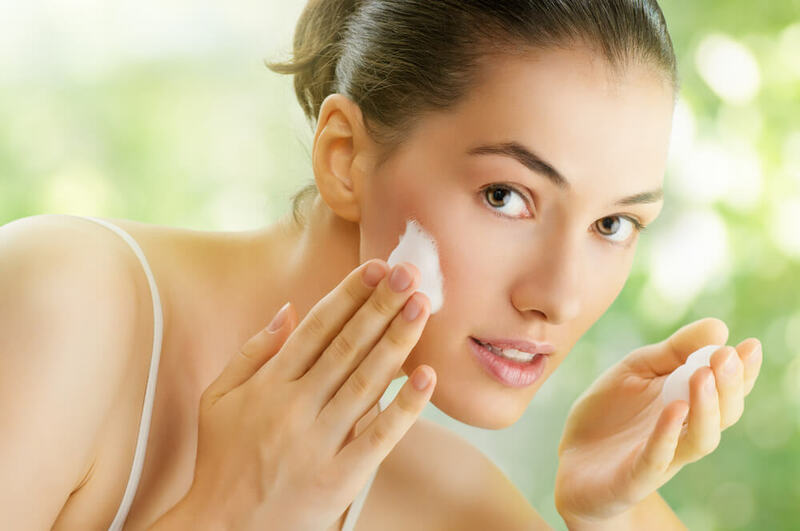 There are ways to lighten dark spots safely and effectively with skin whitening products. You have hyperpigmentation if an area of the skin is visibly darker than the surrounding skin. 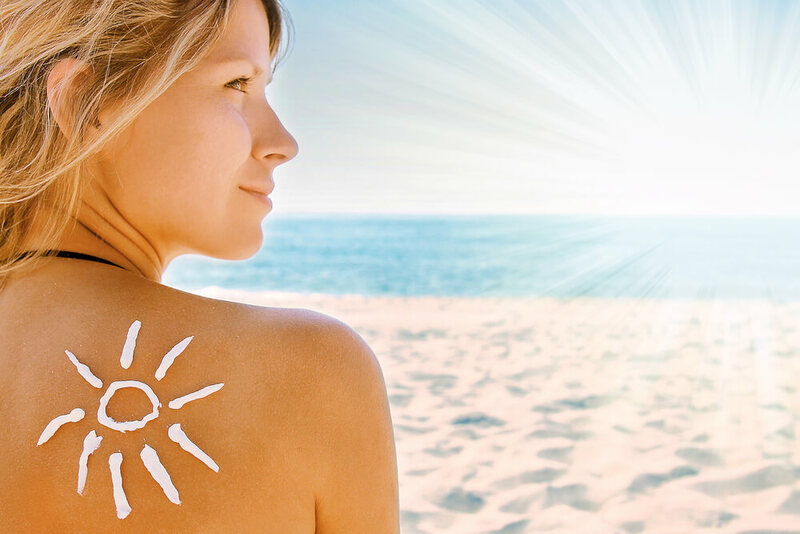 The condition can have many causes, but many individuals find that the biggest culprit of skin discoloration is sun exposure. 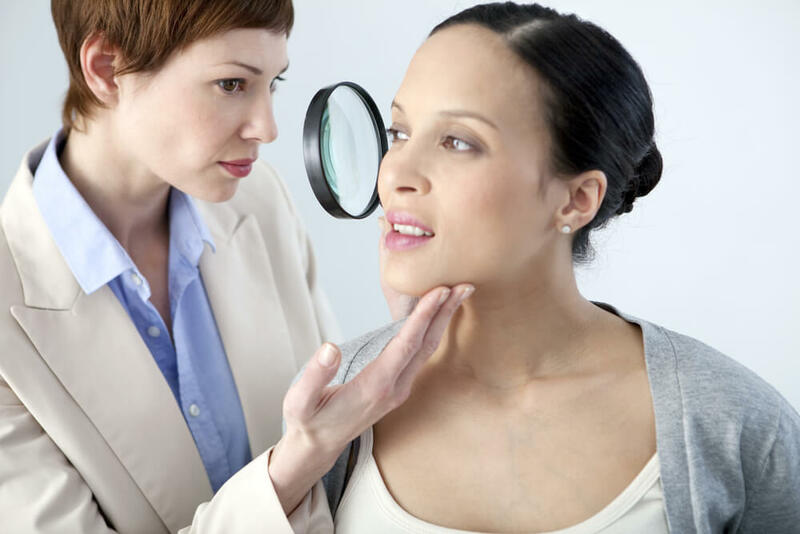 Spots caused by sun exposure may appear anywhere on the body that was exposed to elements, but many of us take notice of the discoloration when it appears on our face. The sun’s rays wreck our skin. And the result—over time—is hyperpigmentation in the form of little dark blotches. Some call these “sun spots,” but as not all sun-induced discoloration is benign, you should consult with a dermatologist when noticing any new mole or skin changes. Most of us have some degree of sun damage from failing to apply sunscreen, so annual visits to a dermatologist are a must even before worrying about the cosmetic implications. The American Academy of Dermatology recommends a broad spectrum sunscreen with a sun protection factor (SPF) of 30 to keep sun damage away. While, yes, many of us use sunscreen to protect against skin cancer, sun damage can take many forms–including dark spots or other discoloration. Using a daily broad-spectrum SPF protects the skin from damaging UVA/UVB rays and their harmful effects on the skin. 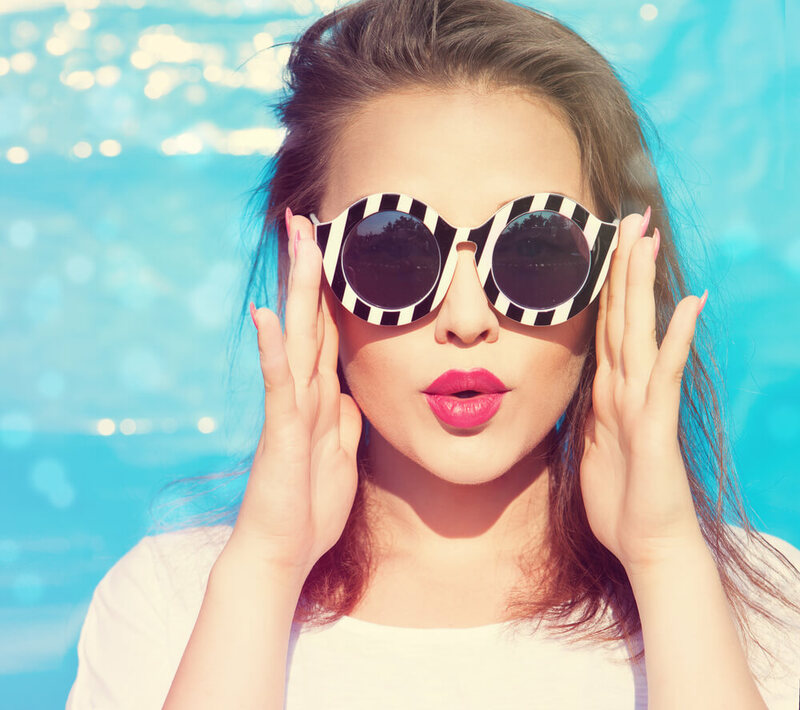 You should use SPF on the face year-round when you’re in the sun, even when it’s chilly! Although sunlight is the biggest enemy of our skin, certain inflammatory skin conditions like acne, psoriasis or eczema also may cause hyperpigmentation. 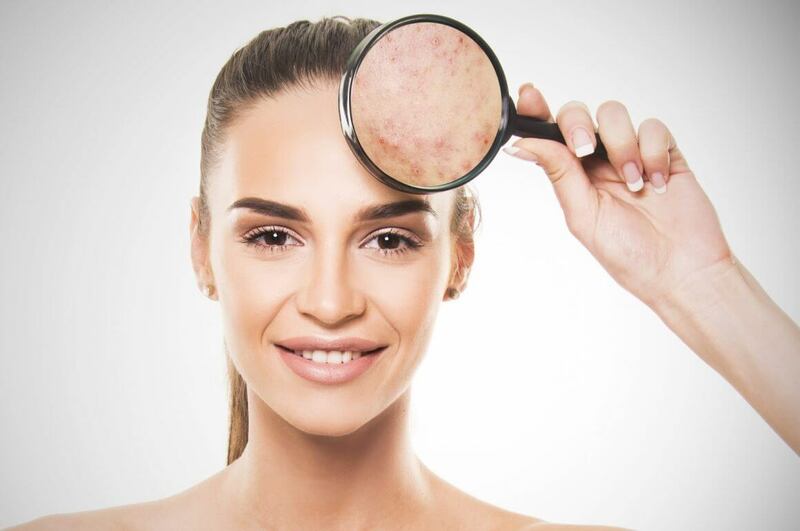 You might have noticed that the area where a pimple has healed suddenly looks darker—this is a typical case of hyperpigmentation. 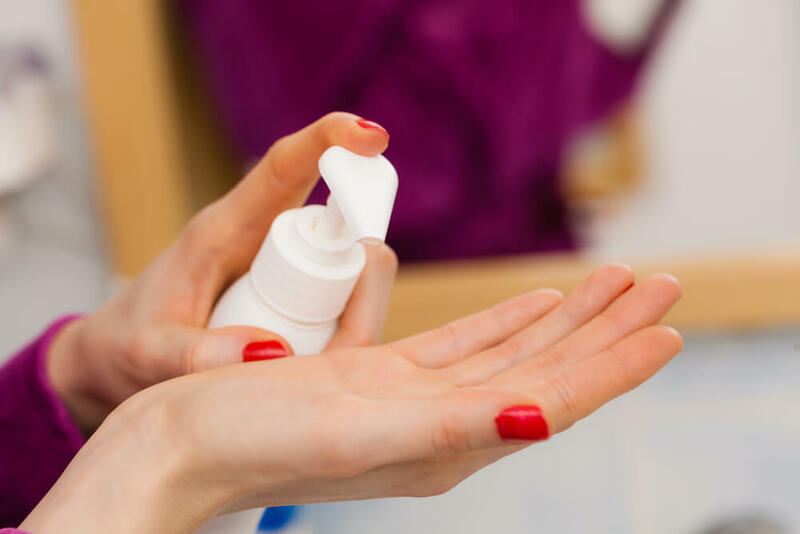 If your skin has suffered from discoloration after healing from acne or another skin irritation or condition, a good sunscreen can help prevent further discoloration. Skin whitening products also can help reduce the visibility of discoloration and even out skin tone. While these spots aren’t always completely reversible, you can easily brighten your skin tone and even out blemishes. 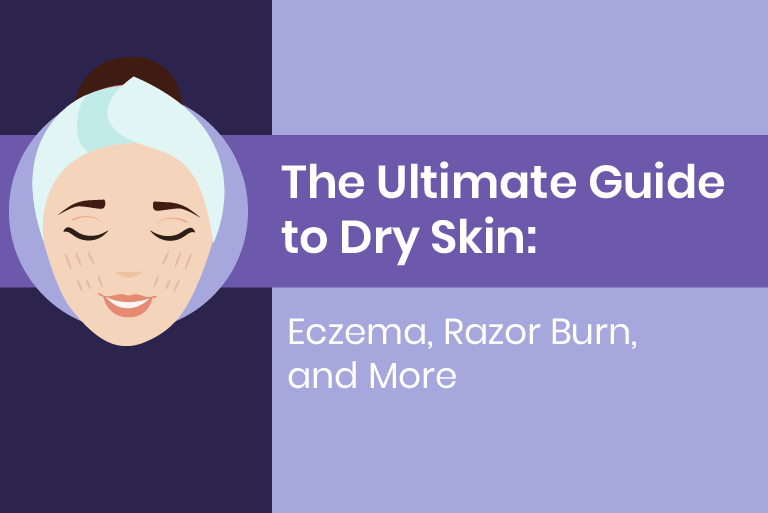 Choose products that are a good fit for your skin type and won’t result in skin damage. (Stay away from skin bleaches!) There are products that may help reduce the look of hyperpigmentation. With daily use on the affect areas, like sun spots, you’ll see a dramatic difference in as little as a week. With continued use, you won’t have to worry about using foundation to cover up your skin. 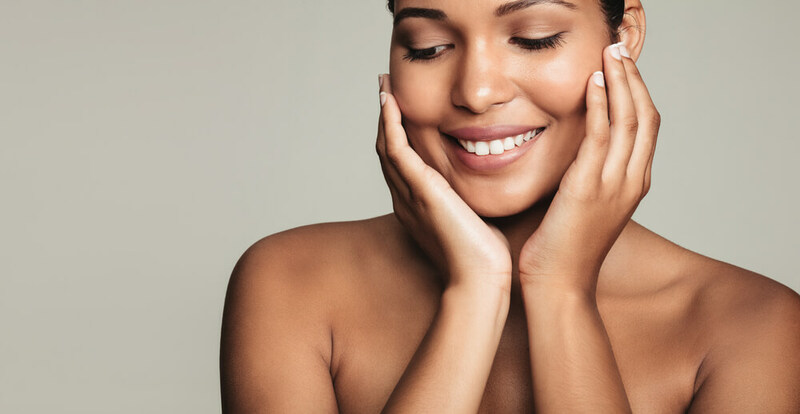 Skin whitening products and cosmetics that help brighten may lessen the appearance of hyperpigmentation and are often the best choice to help reduce (or conceal) discoloration. 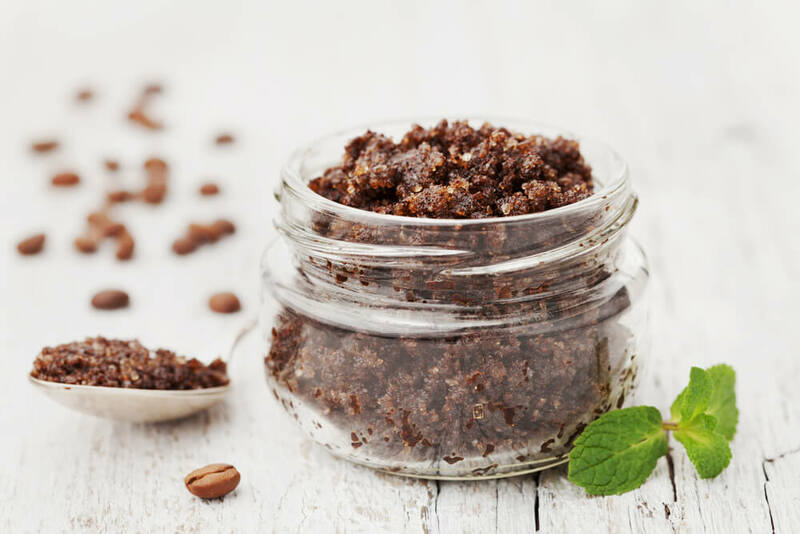 However, there are some who hope to DIY a solution for their sun spots and skin discoloration. While online resources may suggest at-home treatments, it’s best to use proven products or talk to your doctor. 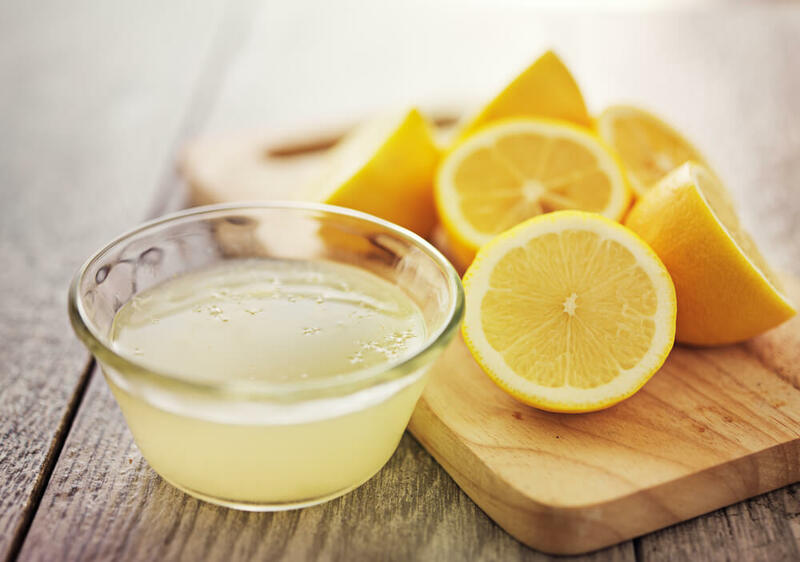 One common DIY treatment shared on Pinterest encourages the use of lemon juice to lighten dark spots. However, lemon juice can cause the skin to become sensitive to the sun and it may even cause dark spots. The AAD doesn’t list lemons as a recommended lightener. So before you start squeezing lemon slices on your face, talk to a dermatologist first! While dark spots may be a nuisance, don’t bury your face and hide from the world! 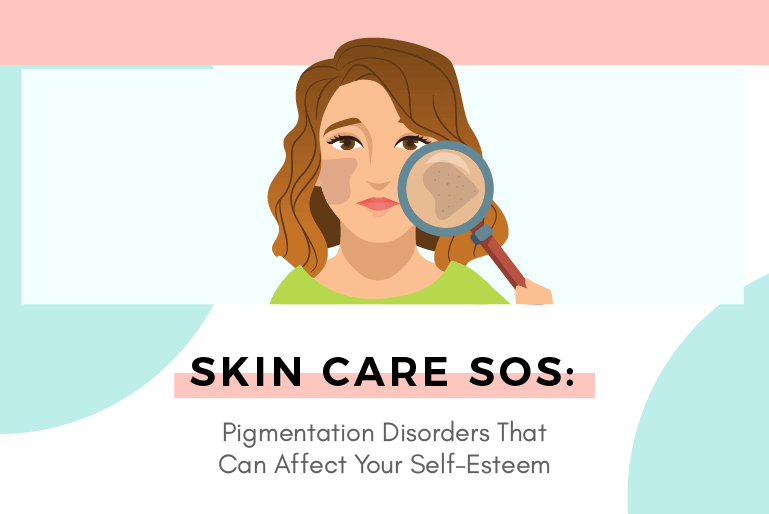 Most of us have hyperpigmentation from sun, hormones, age or our genes. There are numerous skin whitening products on the market that you can use to help lighten or brighten. Once you commit to a treatment plan, remember to always protect your skin year round to prevent future dark spots from ruining your day. Pregnancy brings many changes to a woman’s body. 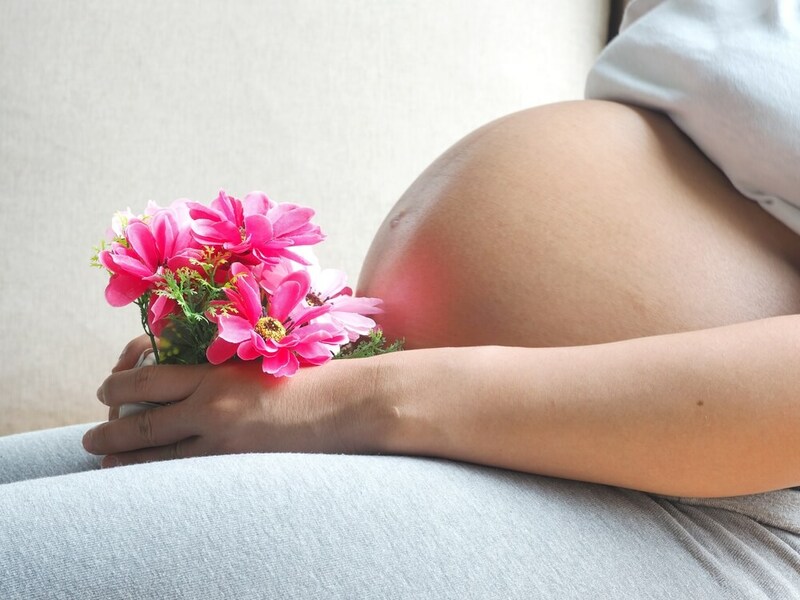 The growing bump might be the most pronounced, but the hormones that come with pregnancy also leave their own unique impressions. Most women know that they might be more emotional during pregnancy, but many don’t know that pregnancy also may change their skin…for better or for worse. Stretch marks, dark spots and acne all may appear during pregnancy and take the skin by surprise. For women with naturally flawless skin, these changes may be an unwelcome change. The “mask of pregnancy” also commonly gives women uneven skin blotchiness (typically grey in color); this mask is called chloasma, and it’s caused when melanin production is boosted by estrogen levels. While many women notice that their hair suddenly morphs into a magical mane during pregnancy, they also may realize that the hair in other places—like their legs—also might be growing a bit faster (with a growing need for razor burn cures), while others discover that they don’t even have to shave! Why Does Your Skin Change During Pregnancy? There is really no rhyme or reason as to why some women experience skin changes, while others glow throughout pregnancy. Every body reacts to hormonal changes differently. But what do you do if suddenly acne takes over your face, you start wearing “the mask of pregnancy” or your leg hair is growing out of control? Be assured that all of these skin and body issues are normal and you’re not alone in experiencing them. However, if they bother you, then you can try to take control. Be advised, however, that not all products are safe to use during pregnancy. According to “What to Expect When You’re Expecting,” pregnant women should steer clear of products that contain “parabens, phthalates and triclosan.” Before you use any beauty product while pregnant, you also should contact your doctor to make sure it’s safe. Not all chemicals or products are approved to use during pregnancy. For leg or body hair that seems to be sprouting up fast, daily shaving may be in order. 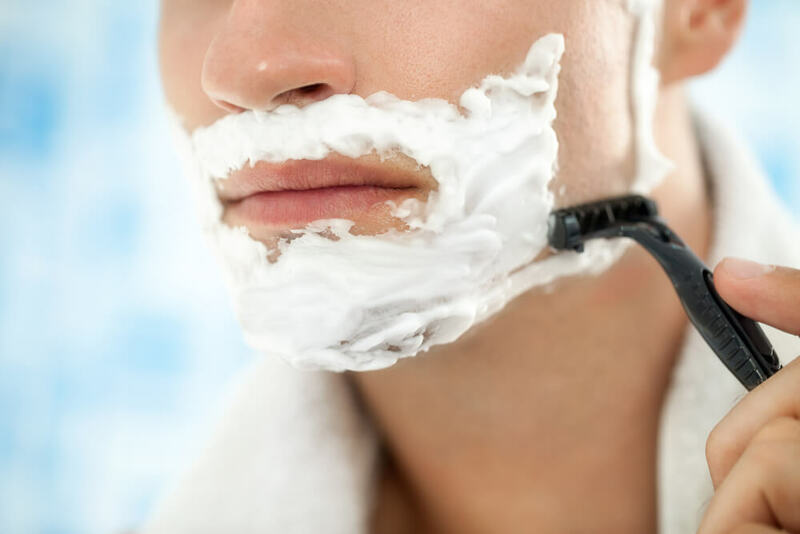 While this may be frustrating, shaving is one of the easier ways to remove unwanted body hairs—especially when some creams or other solutions may be unsafe. 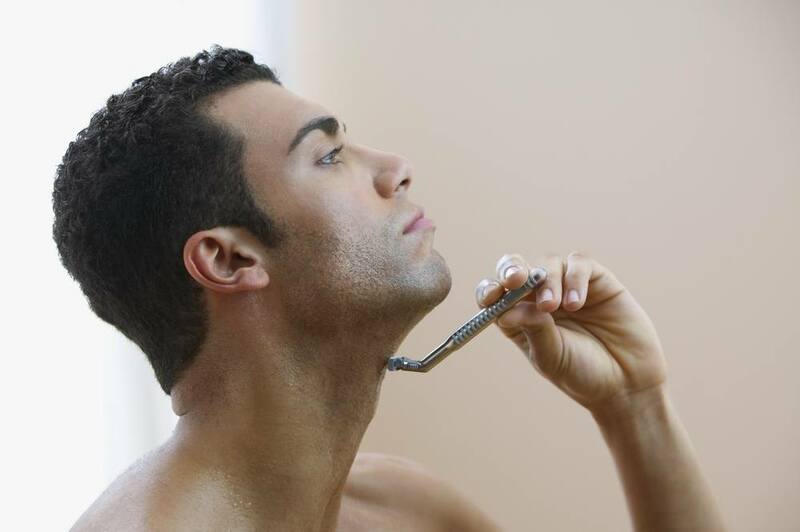 If you’re reaching for the razor more frequently, be sure to moisturize after shaving to keep skin hydrated. And remember to change the razor blade! You also may notice that your center of gravity changes as your belly grows; always be careful when shaving…you may have to sit on a shower seat to make shaving and grooming easier and safer! To deal with the appearance of redness with ingrown hairs and razor burn, use a safe over-the-counter product that can also moisturize. Our product has had positive results for women of all shapes and sizes, including moms-to-be. For acne, sometimes time is the best healer. If your breakouts are painful and you just can’t deal, it’s best to ask your obstetrician for product recommendations. If this is your first run-in with acne, don’t pick or pop pimples, this may cause scarring. Some women notice that when their pregnancy progresses and hormones level out, their acne disappears. Unfortunately, there are some pregnancy issues you cannot control. A predisposal to stretch marks also may be hereditary; if your mom had them, you might be at a higher risk. 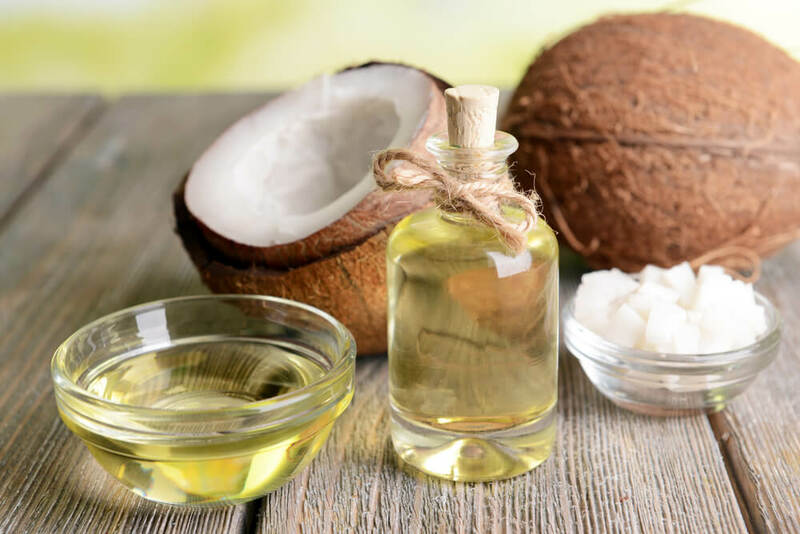 While some women swear by cocoa butter, this remedy is not a proven prevention. Stretch marks are permanent, although they may fade over time. The “mask of pregnancy” also is just a feature that many women learn to live with during pregnancy. The mask will typically disappear after pregnancy, so, for many women, the discoloration isn’t permanent. Some women, however, may notice that chloasma continues as long as they breastfeed. Again, though, every woman’s body may react differently. Use safe, pregnancy-approved skin brightening products to even out your skintone. As your skin starts to correct itself with daily use, concealers and foundation may help you hide the discoloration, and illuminating products may add a dewy glow to the skin. Not all skin changes in pregnancy are bad news for women. There’s a reason why everyone talks about the “pregnancy glow!” Good skin during pregnancy also is quite common. The pregnant glow is something to embrace. If you have that glow, flaunt it! And even if you haven’t seen that glow, know that the greatest expectation of expecting is the little one that you’re helping to grow and nurture. Acne, discoloration, and crazy hair growth will seem like the smallest of issues when you meet your new baby!